Borders present challenges for artists. Jazz musicians, who, in the past century, re-constructed the evolution of musical history, continue to be particularly open to those possibilities offered by those challenges. Melody, harmony and structure have been questioned stylistically and artistically. Rhythm, however, was a comparatively fixed element, even when the free era re-directed it from a linear approach towards more of a pulse. So when the curious musician looks for borders to explore and cross, rhythm and meter still carry many secrets worth investigating. Central Europe defines itself traditionally through intelligent and sophisticated harmony and melody rather than through complex rhythm. Florian Weber, native of Germany and son of a family well-educated in classical music, received his first piano instruction at age four and, as a teenager, discovered jazz. After studying mathematics and physics he received a scholarship to the Berklee School in Boston. As a music student in Cologne he worked with luminaries JoAnne Brackeen, John Taylor, Danilo Perez and Paul Bley and continued his explorations into the heart of jazz. In the late 1990s Weber made a name for himself playing with Albert Mangelsdorff and Lee Konitz. He was awarded many national and international prizes (Steinway&Sons, Prize Montreux, Jazzprize Monaco) and his trio Minsarah (with bassist Jeff Denson and drummer Ziv Ravitz) made a debut CD that received the Award of the German Jazz Critics. 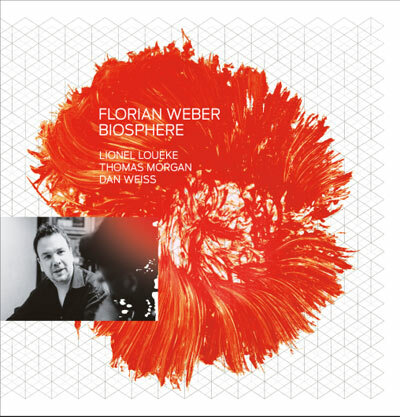 This led to invitations to important festivals in Montreal, Berlin, Paris and New York Florian was the first German jazz pianist to record with legendary Lee Konitz New York’s club Village Vanguard – on the Enja album “Live at the Village Vanguard” with Minsarah. The recording won the prestigious Choc de l’Année from the French Jazz Magazine “Jazzman” and also garnered praise from the other side of the Atlantic. Florian Weber now lives a good part of the year in New York and belongs to the immensely vital scene of that city. There he can take advantage of an environment that encourages expanding the tonal colors and rhythmic depth of improvised music. He has found partners whose potential and interests coincide with his own. Lionel Loueke, drawing on the music of his youth in Benin, has proved himself as guitarist working with Herbie Hancock and was a fellow student of Weber’s at Berklee. Bassist Thomas Morgan is a most accom-plished new master of his instrument and drummer Dan Weiss is a specialist playing intricate and complex rhythmic structures. This group set something of a new trio agenda. They decided, first, that both the acoustic and electric piano should be highlighted. Next, the group members determined that North and West African rhythms should have a distinct impact without ever sacrificing the modern jazz character of the band. Weber, Morgan, Weiss and Loueke have also chosen to integrate mathematical relationships (another pillar of Weber’s cosmos) and the constructive principles of the fugue theory, not as gimmicks but as functional components of the overall picture. And finally, all agreed that the music should be fun and, ideally, work towards transporting the listener. In this fashion Biosphere has developed into one of the most gripping, casually complex albums of the jazz spring of 2012. The composition “Piecemeal”, for example, is in 27/16 meter and dedicated to quantum physics, linking the smallest motivic elements to strict principles with patterns like prime number rows and contrapuntal contrasts and then yoking the whole thing to a structural perception that is African. There are also reinterpretations of melodies that are well-known from the world of popular music, like “Clocks” by Coldplay and “Cosmic” by Jamiroquai. Above all, this astonishing band succeeds in making the most complex templates light, organic and even funky. Biosphere crosses the border of the usual by connecting body and soul, intellect and experience and concept and sound.